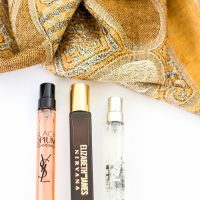 With the holidays fast approaching, the beauty world has completely exploded with exciting new releases. Gift sets, limited edition palettes, and blinged-out packaging can be found just about everywhere you turn. And while its tempting to want to run out and review everything for you guys, I’m a firm believer in being selective about my purchases. 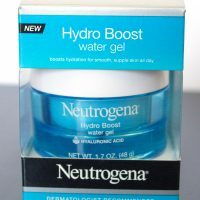 Even though my passion for product is pretty intense, I’m also not one to buy into hype. I always consider my current stash, my style, and the feedback of my fellow beauty addicts before I invest in something. Sure, once in a while I’ll take a gamble and try something out on a whim. But for the most part, I like to do my homework. Sometimes when I’m researching what’s new and interesting and I’ll come across a product that totally blows me away and realize no one is talking about it. Maybe it’s a personal preference thing, or maybe its just that certain brands are more likely to get attention, but either way, it never fails to surprise me. This palette is one of those products. Guys, when I say this palette is unbelievably good. I mean, this is like a “if I could only use one palette for the rest of my life I would probably pick this one” good. I want to profess my love for its buttery, beautiful, shimmering goodness from the rooftops. Just…just wait until you see the pictures. And then you will understand. 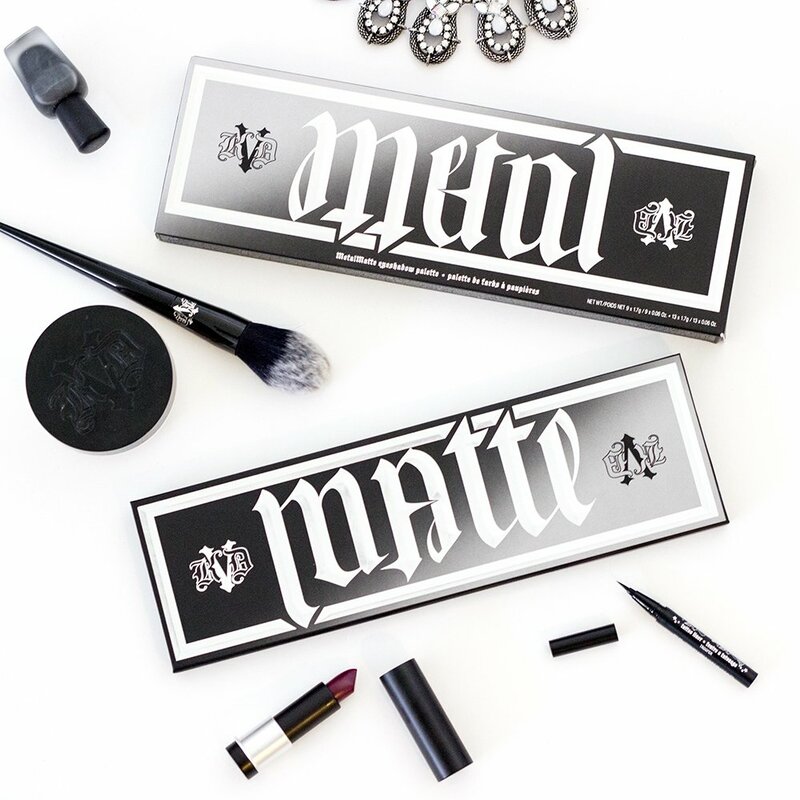 The Kat Von D MetalMatte Eyeshadow Palette is everything. 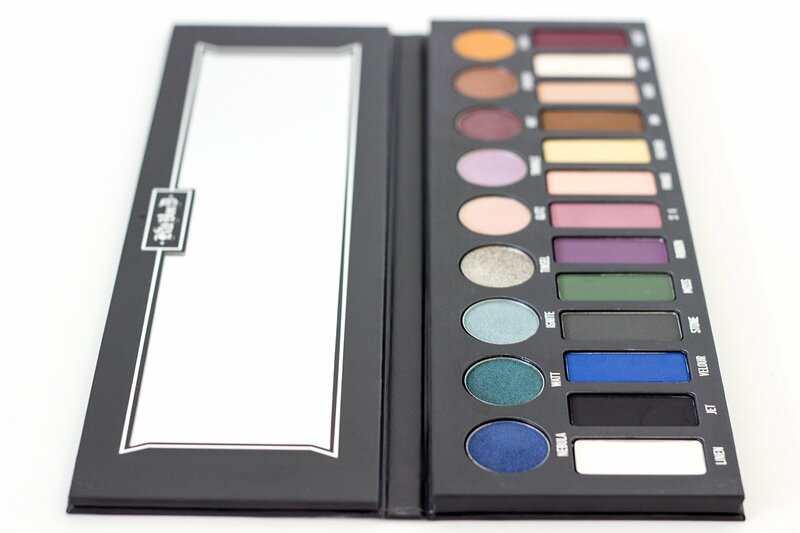 It contains a comprehensive collection of stunning matte and metallic shadows in rainbow of gorgeous shades. 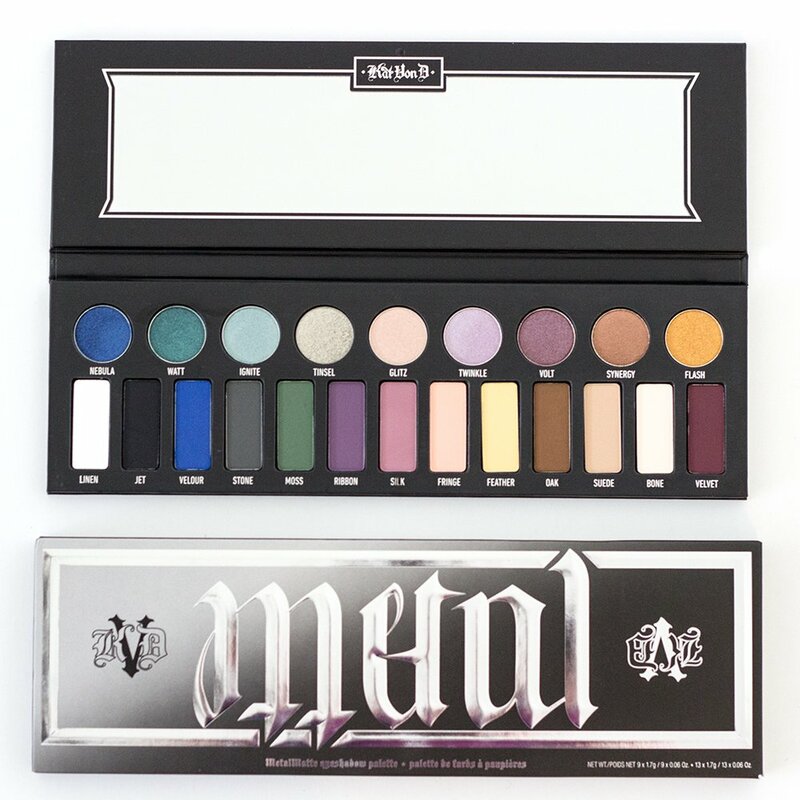 In the top row you’ll find 9 pans of Kat’s cult Metal Crush shadows, 8 of which are exclusive to this palette. In the bottom row is are 13 velvety mattes, offering a range of soft pastels, bold pops of colors, and a whole slew of neutrals to blend. If I designate myself to be the Goldilocks of makeup, this palette is the one that screams out to me “just right”. 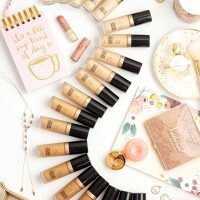 You’ve got pretty much everything you could possibly ask for, all in one giant, gorgeously packaged place – a perfect balance of mattes and metallics, of colors and neutrals, of soft shades and bold ones. 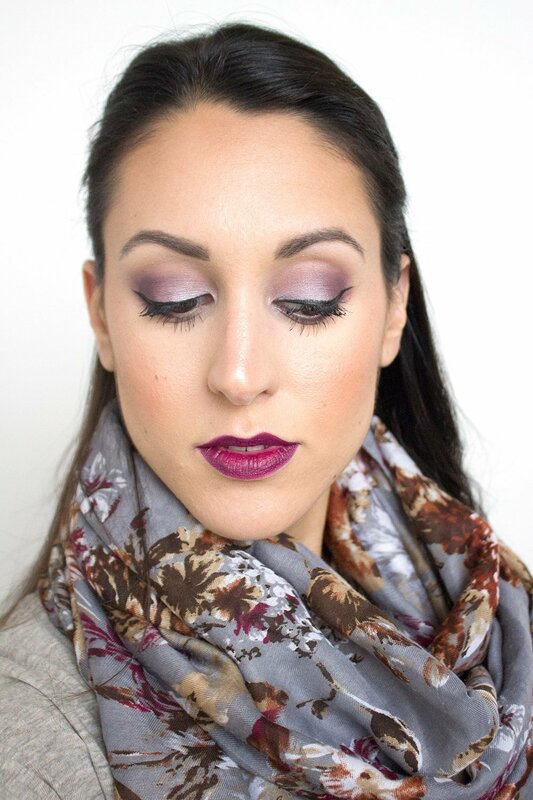 You can go soft and romantic or dark and edgy, you can go daytime simple or full-on glam. The possibilities are virtually endless and it honestly makes me so happy I almost don’t know what to do with myself. 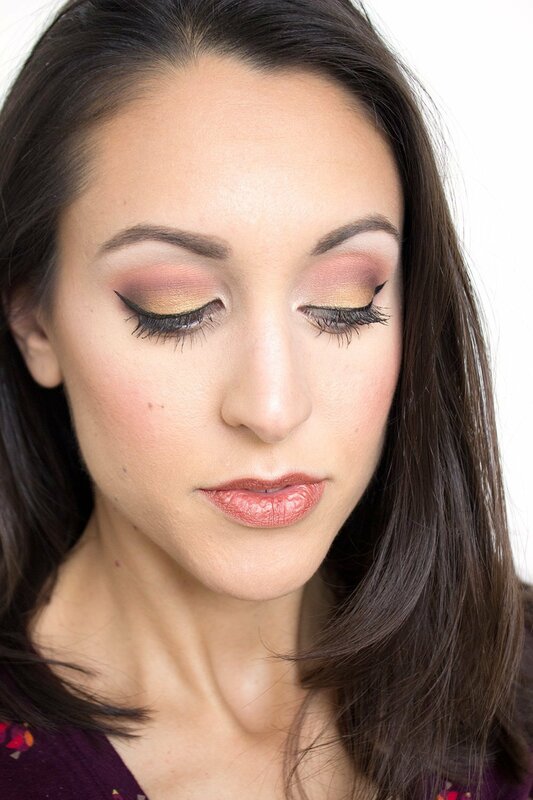 There’s no doubt that Kat totally nailed it with the look and feel of this palette. As an acclaimed tattoo artist, her design expertise is obvious. The cover sports an ambigram she hand lettered that says either “metal” or “matte” (depending on which way you’re holding it) in her signature edgy style. The case is made of a sleek, black cardboard that feels pretty solid, and has silver foiled detailing. Now, I should note, this palette is MASSIVE. You’re talking like 3 inches longer than an UD Naked Palette, easy. This could be a good or a bad thing, depending on how you look at it. It feels really satisfying to hold. Like, you know just by looking at it that you’re getting your money’s worth. But it’s definitely not super travel-friendly, which could be off-putting to some. Even though this palette is a little bit pricier than some others on the market (retailing for $60) it’s actually an incredibly good value. You get a total of 37.4g of product, and are paying about $1.60 per gram. 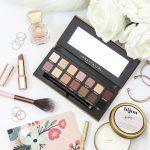 For comparison, take a look at any of the Urban Decay Naked Palettes ($54) or the Tarte Tartelette in Bloom Palette ($45). Both of these palettes are less expensive, yes, but you’re also getting significantly less product AND paying more per gram. 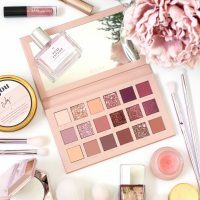 UD Naked Palettes have 12 shades and cost $3.19 per gram of product, while the Tartlette in Bloom Palette also has 12 shades and costs $2.50 per gram of product. So yes, even though you’re shelling out a few more dollars for the MetalMatte than you would for some of the most popular palettes on the market, it’s a way more solid investment in my mind. So awesome packaging and a great value are definitely perks, but if the shadows themselves are mediocre, it’s all kind of wash. Fortunately the quality in this palette is sublime. First you’ve got the nine Metal Crush shadows. These have an intensely metallic finish and an almost creamy feel to them. The glide on so smoothly and pack a TON of pigmentation. If you like a true foiled look to your eyeshadow, you’re going to be obsessed with these. As with any other shadow with this type of formulation, they’re best applied either with your finger or a flat, stiff brush. 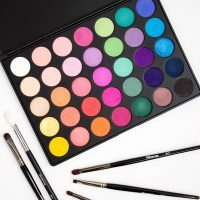 They’re quite vibrant on their own, but you can also intensify them further by layering them on top of a glitter primer or wetting your brush with a little bit of setting spray. Even though my heart belongs to all things that sparkle, I’m even more impressed by the formula of the mattes. Matte shadows often go so terribly wrong, but these are seriously a dream to work with. 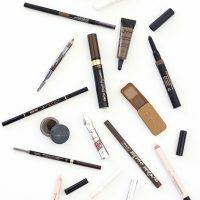 You can tell that they’re incredibly finely milled, yet packed with pigmentation, making them super soft and silky to the touch without being overly powdery. The only shade in this entire palette that I was less impressed with was Linen – a stark white matte. This one felt a little bit chalkier and more uneven when I was swatching it. Speaking of swatches, let’s take a closer look at how these bad boys perform. These finger swatches are all on my naked arm, sans any kind of primer or base. Seriously though, is this not a thing of beauty?! 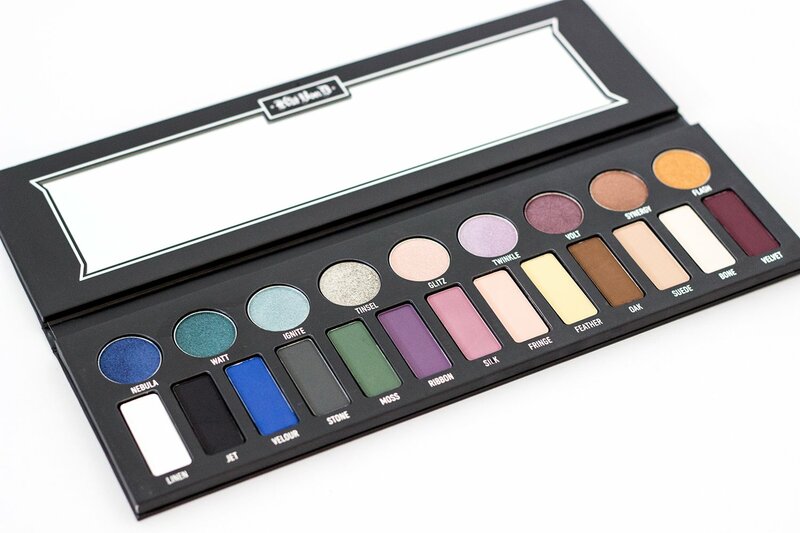 I also want to note that for how colorful this palette is, I appreciate how wearable all the shades actually are. Sometimes colorful palettes lean too neon and vibrant, making them a little bit intimidating and impractical for everyday use. The shades in this palette, though, are a bit more subdued. This is not a neutral palette by any means, but I think it makes color accessible. If I want to go total rocker glam, I can, but I could also create a ton of looks I wouldn’t feel uncomfortable wearing to work. Speaking of which, I always think it’s helpful to see shadows in action. Here are couple of looks I created exclusively using shades from this palette. In this first look I started by applying Suede all over the lid and through the crease as a base for my other shades to blend into. Next, I applied Silk through the crease to create depth. I then blended the upper edge with the shade Fringe to add an almost sunset-like vibe. Then I patted the shade Flash all over the lid, which gives a beautiful metallic sheen. 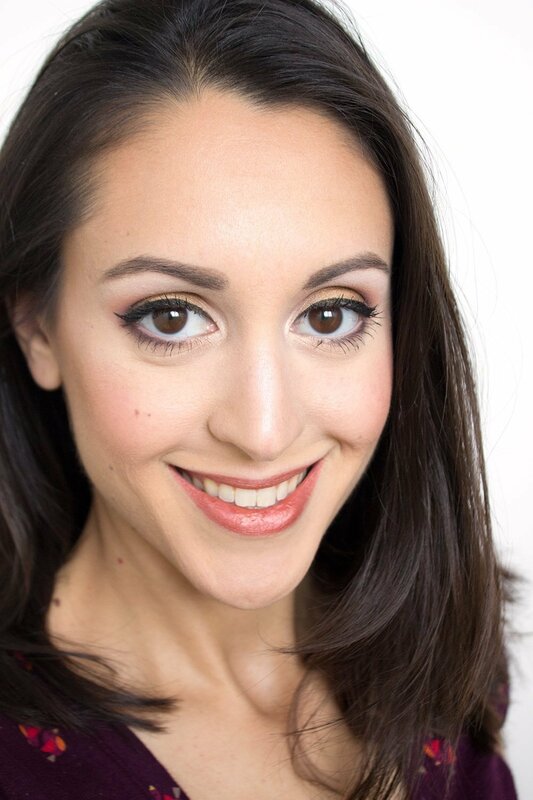 Next I took a smaller brush and applied a little bit of Oak to the very outer corner of my eyes and blended it gently through the crease. To highlight the inner corner I used a small flat brush to pat on a little bit of the shade Glitz, and for the browbone I used a large fluffy brush to sweep on the shade Bone. 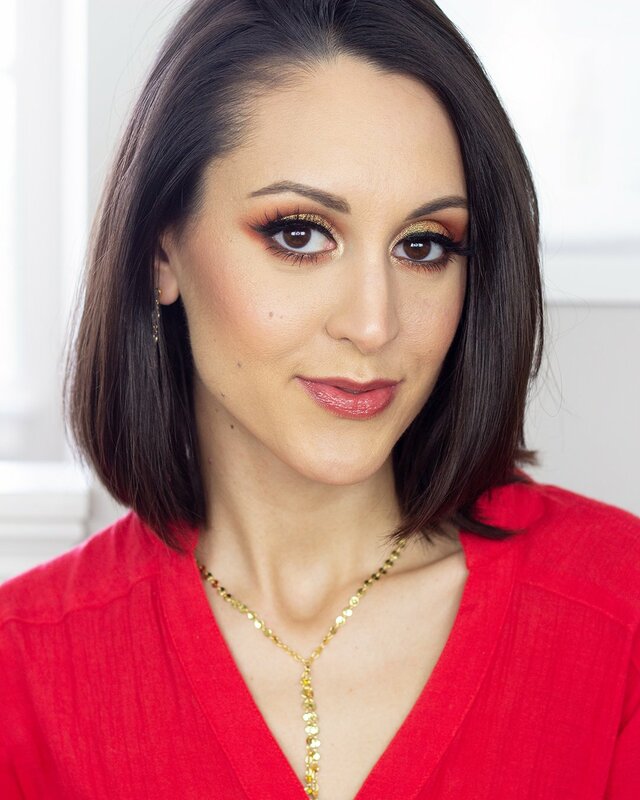 On the lower lash line I started by applying the shade Suede with a pencil brush, and then blended in a bit of the shade Silk, focusing the color on the outer third. 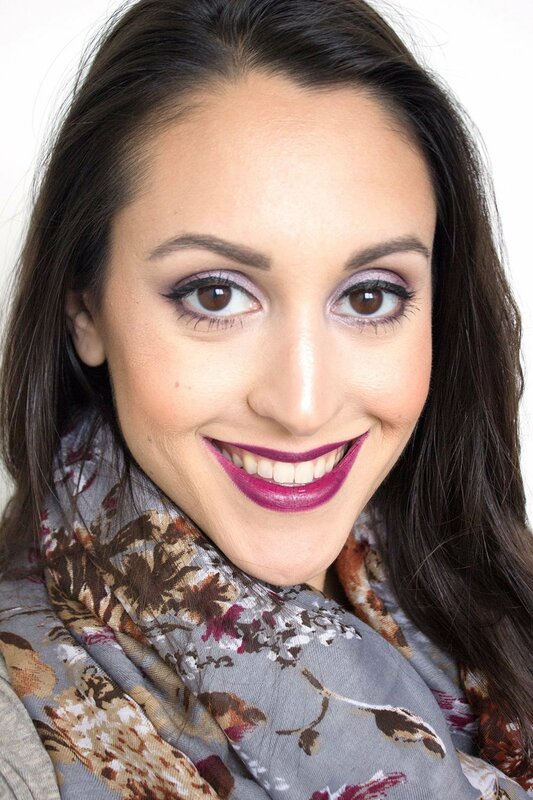 I love me some berry-vibes for fall, so I decided to go full-on purple with this look. Again I started with the shade Suede in the crease as a transition, and began to build up the shade Silk in the crease. I then started to darken things up in the outer v using the shade Ribbon. I also brought this shade down along the lower lash line to smoke things out a bit. Next, I applied the shade Twinkle all over the lid using a flat brush. Then, on the outer half of the eye I applied the shade Volt, blending it gradually into Twinkle to crate a soft gradient. Again, I highlighted the browbone with the shade Bone and the inner corner with the shade Glitz. I’m going to get super real with you guys for a minute. There are a lot of limited edition palettes coming out for the holidays. 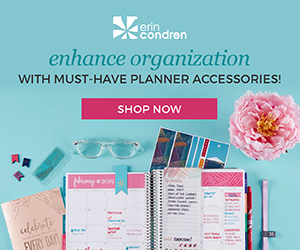 A lot of them look super pretty, and you might be tempted to add them to your wish list. All right, maybe that’s a little harsh, and I’ll still love you if you do, but I want you to heed this word of warning. In order to meet the tight deadlines with production, a lot of brands have their holiday sets manufactured in China. This often means that quality standards are not upheld and you aren’t going to get the same awesome product you might be expecting. Before you make a purchase, do your homework. Don’t get sucked into the hype and spend your money on something that isn’t what you thought it would be. 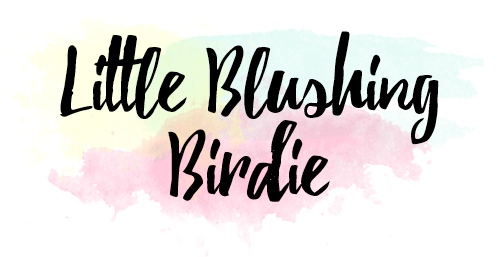 If you want to treat yourself to a high-end eyeshadow palette, GO BUY THIS ONE. It’s cruelty-free, made in the USA, and 100% worth every penny. You’re getting so much bang for your buck, the shadows themselves are beautiful, and I think you’re going to find yourself reaching for it over and over again. 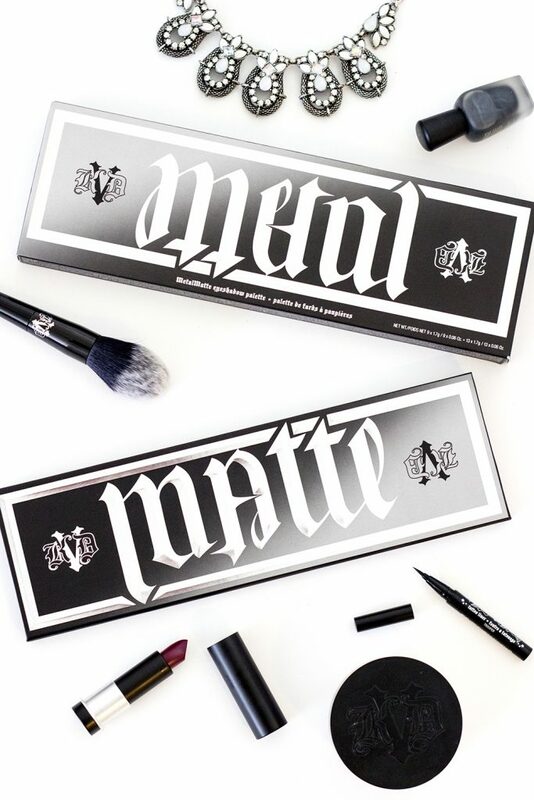 Are you team metal or team matte?